amazing what a difference two weeks makes. Both after work, same lunch. Weather slightly cooler, but not enough to make a difference I wouldn’t think. I didn’t set out to do a 5K, but wanted to go for a run and once I realized how beautiful it was, I wanted to run outside.One of many reasons I love the NYRR RunCenter is not needing to double back to the office to pick up stuff so I headed there and then headed into Park at Columbus Circle thinking I’d do the #GlobalRunningDay loop which was about two miles. 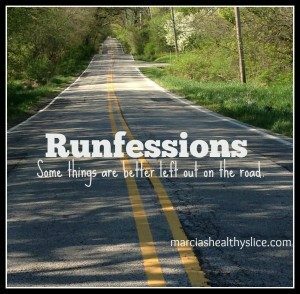 But once I got going, I started thinking about this June challenge. When my hip flared up last week I’d mentioned to my #PinstripeBelles teammates that I was out of that challenge so as not to overdo hip, but the increased rest these last two weeks has been good and it is feeling really good, so I decided to go for 3 miles since I had time. who drew this map again? 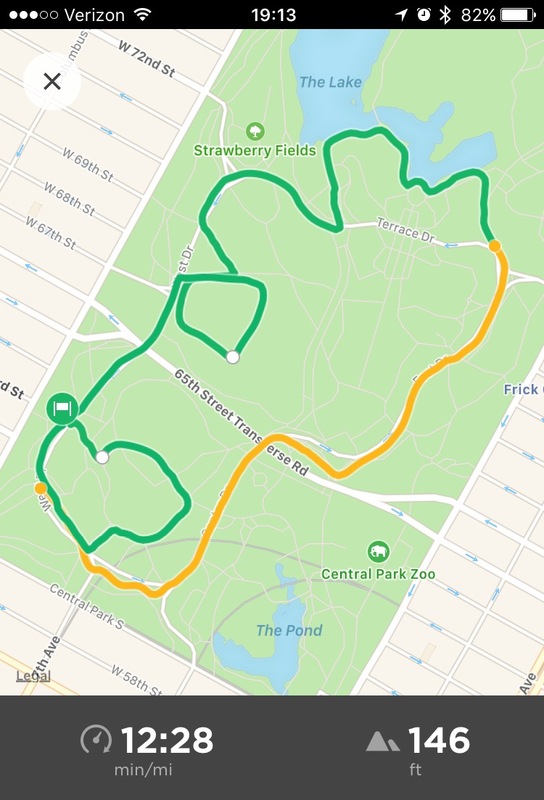 There is no decent 5K loop on the south end of the Park and I knew that I probably didn’t want to do two laps of the lower loop (~1.7 miles) so I got a little creative. The top wiggle is cutting over along Bethesda Fountain and through Cherry Hill before rejoining the main lower loop. 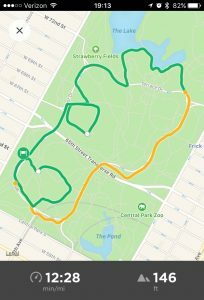 The next shape down is a loop-ish of Sheep Meadow to pick up some distance and the bottom one is a loop of the ball field. Yes, I should have just done two laps but this was way more fun. And the cushion of the grass in Sheep Meadow was nice. It was a perfect night, and I set a PR. I’m not sure if I’m calling this week two or three of the Run the Edge #4x5KChallenge as I’m not sure what to do what that pseudo 5K number in Strava from the 5miler. I think for sanity’s sake I’m sticking with RunKeeper which makes today almost 1:30 faster than #Run4Warriors, although it felt much better. It’s also a minute faster than what Strava reported so it’s not as if Strava is way off. Not sure if I have two days to do two 5Ks with being away next weekend, but we’ll see. 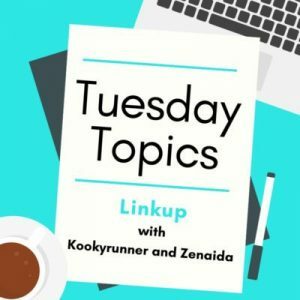 Tuesday morning’s speedwork felt good and I feel like I’m generally on the right track. Halfway through the month I’m in good shape with respect to my monthly running goals. Average workout time is ~41 minutes and average pace is 12:55. The latter would be much better if not for the 10K pace being so far off my others, but I’ll take it. I’m hoping to hold on to both of those and make both goals for the month.